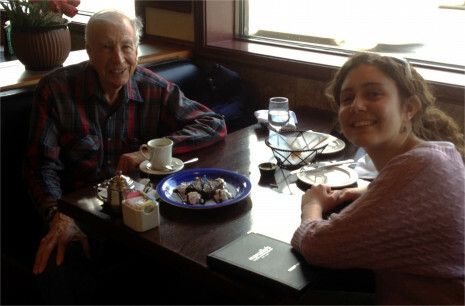 Building mutually beneficial friendships with older adults based on proximity and interests. It's a win-win. Older adults need us and we need them. I’d like to learn more. Who can I contact? Heather Dudzinski is the staff member at Little Brothers – Friends of the Elderly who can answer your questions or share more information. 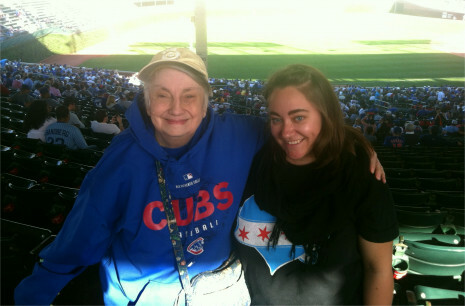 You can call her directly at 312.604.7234 or call our main line at 312.455.1000 and ask for Heather. 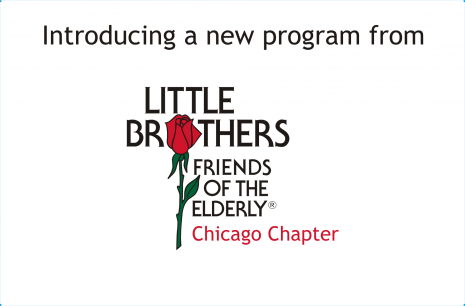 Do I need to join Little Brothers – Friends of the Elderly to be part of Great Neighbors? No. 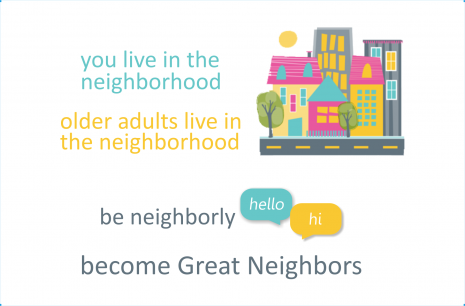 By filling in your information you are registering to learn more about Great Neighbors. Your registration is not an endorsement and does not imply any commitment to stay. You will not be added to LBFE’s mailing list. What am I committing to by completing the registration form? Nothing! The form allows us to contact you to meet before you are connected with a senior in your neighborhood and serves as a safety measure. Do you know someone who might like to participate?